Get Your Hands on an Xbox One! 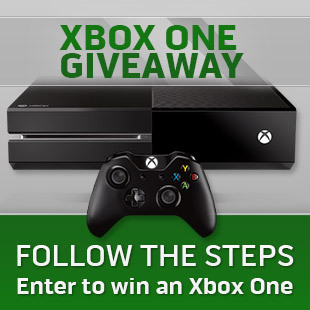 Follow the steps and enter for your chance to win an Xbox One. We know that you've been itching to get your hands on a next-gen console. And we also know that it's been somewhat difficult to acquire one, what with the capped-out pre-orders and the will-they, won't-they concerns about the general public sales. Luckily the holiday season is now in full swing and what goes better with holidays than a glorious, free console? Now you can dismiss your inner Scrooge McDuck and step up to the plate for your chance to get your hands on an Xbox One. All you have to do to enter the giveaway is follow the steps here. It's really so simple that there's not much of a reason for you not to enter, now is there? Unless you already have an Xbox One and then, well....good for you.